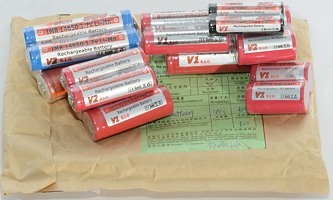 I got a pile of batteries in one envelope, not the best way to ship batteries, even when they are shrink wrapped. Efest have changed their packing. 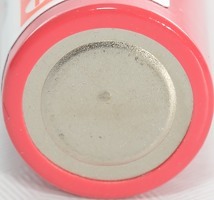 These has slightly less capacity than the V1 batteries, but does track nicely. 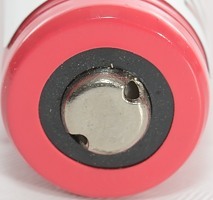 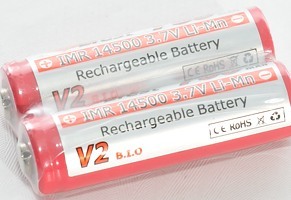 At high load they do also have slightly lower output voltage than the V1 batteries. 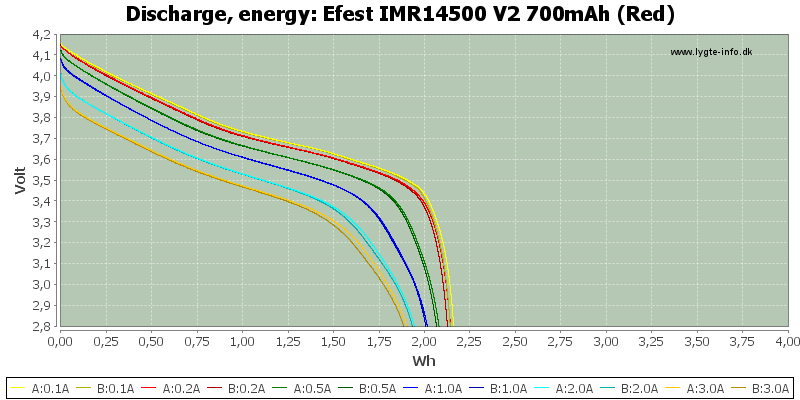 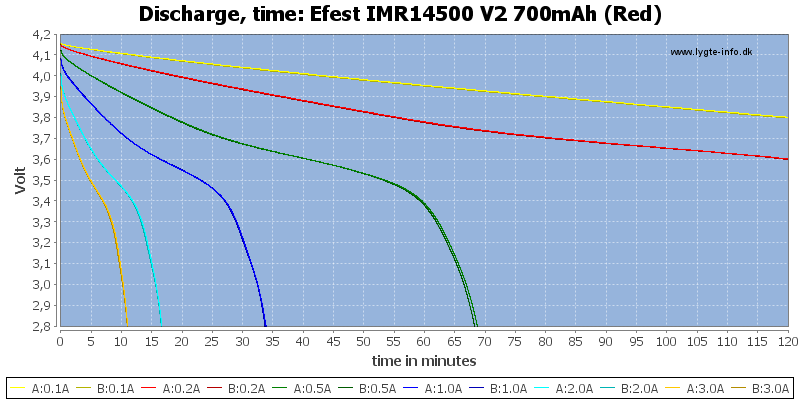 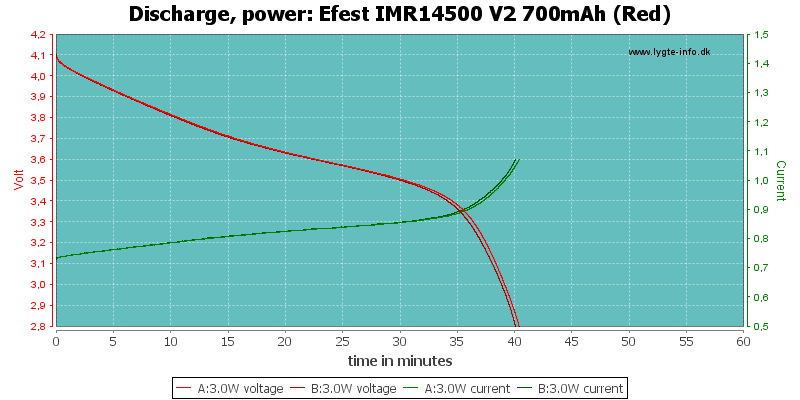 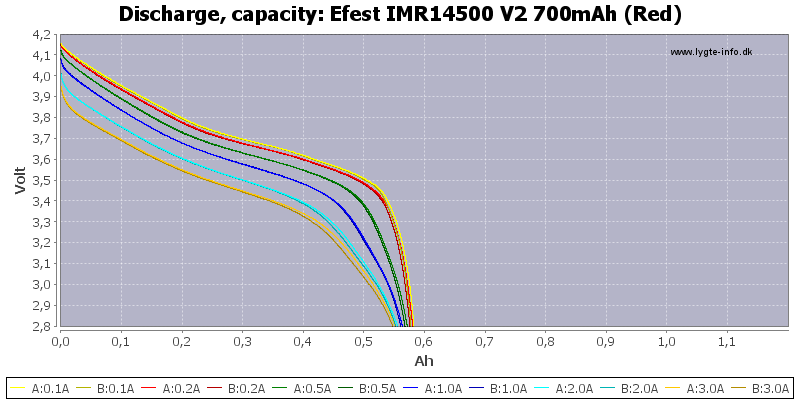 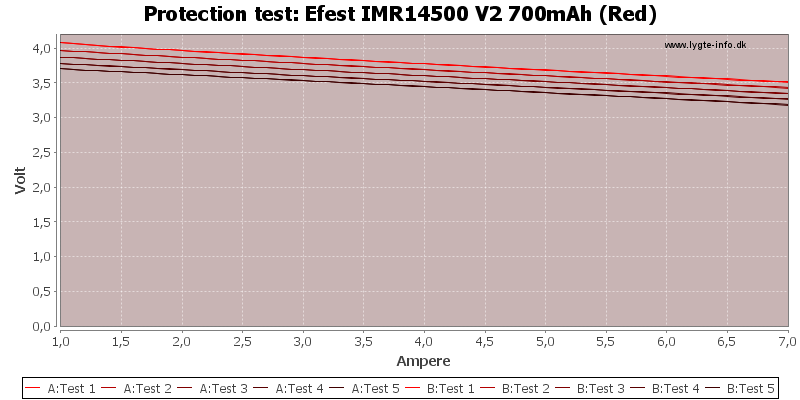 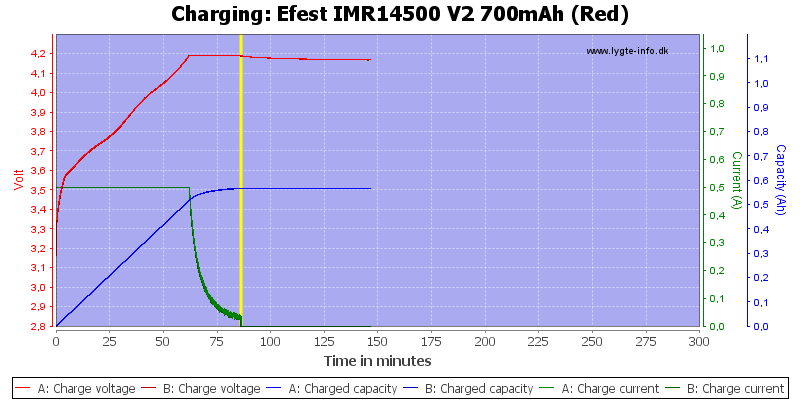 These IMR batteries have good performance at high loads, but the capacity is, of course, not that high. 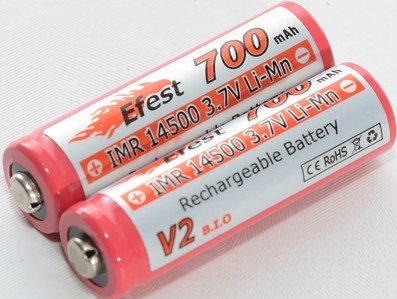 At the current time I can only rate them acceptable, because Efest is a new company, and the batteries is not from one of the big brands.